Gore Verbinski, now there’s a name you don’t hear as often as you should. The man responsible for bringing us the genuine scares of The Ring, the David Lynch levels of bonkers that is Rango, as well as the fantastical and often campy delights of the original Pirates of the Caribbean trilogy, Verbinski has crafted a filmography that speaks to viewers who are up for something a little more peculiar and daring. In keeping with that trend, we see Verbinski returning to more original fare with A Cure for Wellness, a psychological thriller/horror set in a rehabilitation centre in the Swiss Alps. And in terms of that peculiar and often unnerving style, A Cure for Wellness oozes with it from start to finish. Firstly, I would like to keep plot points to a minimum, as the marketing for the film has kept narrative details under wraps: going into the film blind is the best way to experience it. So, to put it bluntly, Dane DeHaan stars as Lockhart, a Wall Street exec. sent on an investigation that leads him to the aforementioned rehabilitation centre: what he finds there, is something far darker and a truth more elusive than he would ever have anticipated. This synopsis is cryptic, I know, but I think it ultimately serves the experience of the film well. Why is this? Because the film doesn’t rely on the narrative to pull us through. To elaborate on this, a lot of filmgoers and critics have made contrasts between A Cure for Wellness and Martin Scorsese’s Shutter Island. However, while I think the similarities in terms of setting and narrative framework are apparent, the finished product is a different beast entirely. While Scorsese’s film ran primarily on the breadth of its narrative mystery and how his style served this, Verbinski’s film is more inclined towards the method of Kubrick in The Shining. While there are narrative threads here, as there were in Kubrick’s The Shining, it’s Verbinski’s craft that keeps us glued to the action. Now, you may be thinking I need a little rehabilitating myself: comparing a contemporary psychological thriller to the masterpiece that defined this very genre for all its successors. But, I stand my ground. Verbinski’s film is no narrative tour de force, and I will personally argue that neither was The Shining. But that was never the point with Kubrick’s film, and it feels the same for Verbinski. A Cure for Wellness is a master-class in constructing horror set-pieces and atmosphere, a supreme blend of production design, sound and cinematography to create an environment that sticks with you, with sequences that will truly terrify you, long after the credits roll. Is this not the purpose of horror films? To create experiences that ooze with ambiance, style and ambition? This is exactly what Verbinski sets out to achieve and does so with flying colours. Not only is the style fitting, but the casting is similarly successful. Dane DeHaan, with his gothic look and eerie allure, is perfect for the role of Lockhart. As he stumbles around the rehabilitation centre, dread increasing, we can really identify with him but recognise the growing insanity that develops through his features (props to the makeup department in this regard). Mia Goth is also great, possessing an innocence akin to Alice of Wonderland fame, a comparison that is perhaps a little fitting considering the strange and unpredictable world we find her in. Then there’s Jason Isaacs, an actor famous for his villainous turns, excelling as the creepily calm and composed Dr. Heinreich Volmer, a character that really ought to be eating his liver with fava beans and a nice chianti. To bring this around to a conclusion, what is particular about the performances in terms of their place within the wider context is how they are embedded into the style of Verbinski’s horror. There are narrative moments for the actors to sink their teeth into, but ultimately, these are all a distraction from the real meat of the film. The actors are either elements used to flesh out the horror of the environment (as with Goth and Isaacs) or as with DeHaan, act as identifiable vessels used to take us on this wild ride, to desire the push towards the next horror moment. To flesh out this point in what to expect, and give a sense of finality to the review, think not only of The Shining, but also of The Revenant and Mad Max: Fury Road. While I’m afraid to admit that there’s no bear attack or desert car chases to be found here, what those films can admit to is being atmospheric and technically driven. They possess narratives, for sure, but it was the world built and the moment to moment action that really made those films excel. 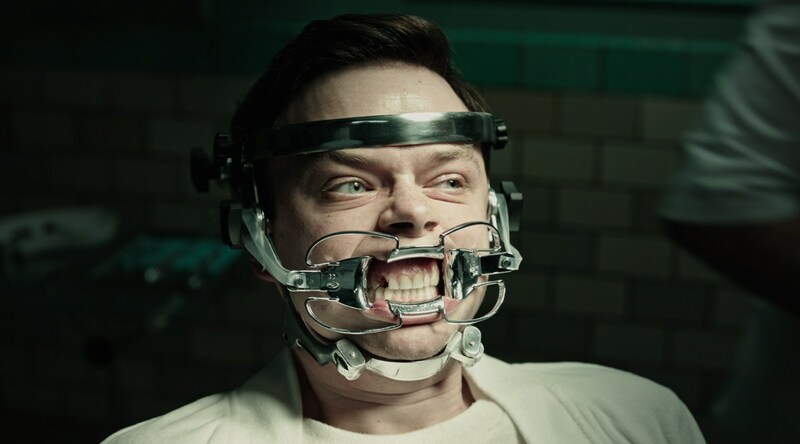 It is in this way that we can best read into the experience of Verbinski’s A Cure for Wellness. The director crafts a peculiar, often disturbing thrill-ride that may leave you a little confused as to the pieces of the puzzle, but you’ll be so enamoured by the pure brilliance of the horror filmmaking of each piece that the end result is well worth the price of admission.